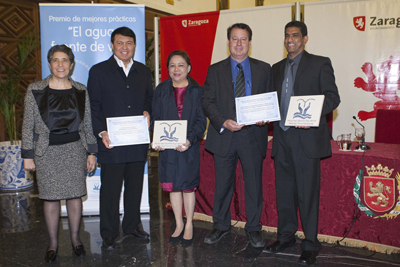 On World Water Day, 22 March, the 2011 edition of the ‘Water for Life’ UN-Water Best Practices Award was presented to winners during a ceremony which took place at Zaragoza City Council, Spain. 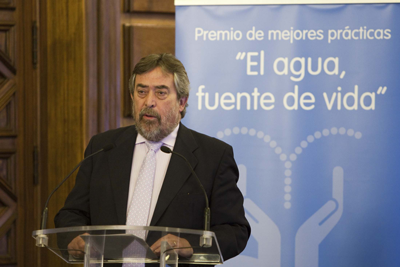 The Award was introduced by Mr. Juan Alberto Belloch, Mayor of Zaragoza, followed by Ms. Josefina Maestu, coordinator of the UN-Water Decade Programme on Advocacy and Communication (UNW-DPAC), who presented a video on Award candidates and announced the winners. Category 1 Award in its edition 2011 was awarded to the project 'Las Pinas-Zapote River System Rehabilitation' for its outstanding contribution towards improving the living environment and its demonstrable and tangible impact on improving people's quality of life within a metropolitan river basin. Category 2 Award in its edition 2011 was awarded to the project 'A Participatory and Learning Based Approach to Raising Awareness on Water and Sanitation' for its innovative approach to communication and awareness raising in poor areas and its outstanding contribution to addressing key challenges related to water and sanitation in an urban area. During the ceremony, a video on water and sanitation urban challenges in Lake Victoria, produced for UNTV 21st Century series by the UN-Water Decade Programme on Advocacy and Communication (UN-DPAC) and the UN Department of Public Information (UN-DPI), was launched. The Award was also presented in Cape Town, South Africa, during celebrations on the occasion of World Water Day. Mr. Olcay Ünver, coordinator of the World Water Assessment Programme (WWAP), described the nature of the Award and Mr. Jose Alberto Tejada-Guibert, Director a.i. 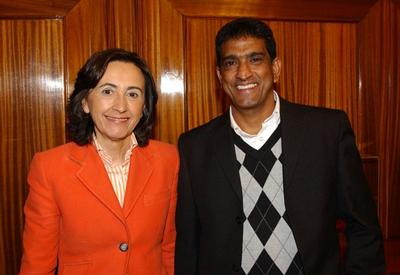 at the Division of Water Sciences of UNESCO, as President of the Jury, announced the winners of the 2011 edition of the Award. On 24 March, the Award winners were invited to visit the Ministry of the Environment and Rural and Marine Affairs of Spain. Mr. Teddy Gounden, representative from South Africa, visited the Ministry who expressed Spain's interest in supporting this project and collaborating in its technical development through the exchange of experts.